What Kind of Facilities Might Need a Generator? Louvers are a great addition to any outdoor generator, but what kind of facilities benefit from generators anyway? A generator seems like a completely unnecessary most days of the years, heck, it can seem useless most years. Fact of the matter is, you never know when you may need a generator because there is no surefire way to predict when you will or you won’t lose power. Now, most people, places, and businesses can survive a power outage, however, for some, a power outage, no matter how short or long it lasts, can prove to be absolutely detrimental. This is where a generator is needed, and proper louvers to go along with them. 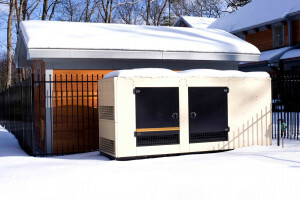 Some environments need a generator so they can keep operating without missing a beat, and they need the proper louvers to protect them and keep them fully functionally so when the time comes, they are ready to keep operations going. If a hospital were to lose power, even just for a moment, and there was no functioning generator to immediately turn the power back on instantaneously, that momentarily power outage can be deadly. Hospitals rely on power to keep various life support machines and technology functioning, like oxygen tanks and heart monitors. No power means that a life support machine keeping a patient in a coma alive goes off, and they are suddenly without the device keeping them going. A generator can come into function and keep these patients alive. It is also important to maintain generator efficiency with louvers that can secure it, while allowing for proper airflow and creating ideal working conditions. For a school to lose power, it is a blessing in disguise for the students because that means they will get to leave school early. However, it would end up being problematic in the long run as they fall behind in their studies. Additionally, a school can easily become a dangerous environment for the children if the lights are shut off, as they can easily be harmed doing something as simple as trying to walk up or down a set of stairs. A school with a generator would not need to worry about this however, as the generator at the very least can help the school keep the lights on, and the kids safe. Louvers can also keep these generators up and running for when the time comes, by allowing cool, clean air to flow in while warm air and exhaust flow out. In the case that a city or town is stricken with a power outage, it is crucial for emergency responders to still have power so that they can come to people’s aid. Police stations, firehouses, and emergency dispatch centers need to have backup generators so they can maintain communication and operations so they can make sure they are properly responding and helping where they are needed most. This entry was posted on Sunday, March 4th, 2018	at 3:37 pm	. You can follow any responses to this entry through the RSS 2.0 feed. Both comments and pings are currently closed.